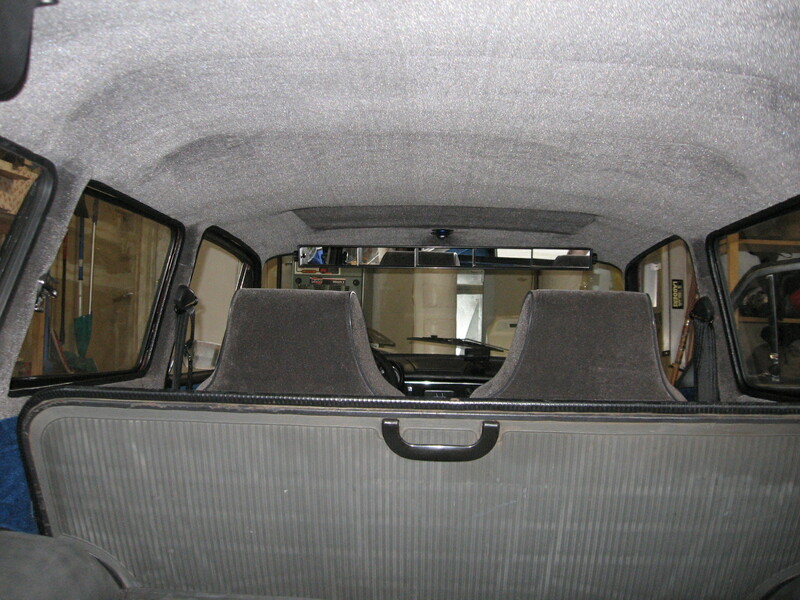 Just finished total redo on the interior. I tore everything out and repainted new velour headliner, door panels. 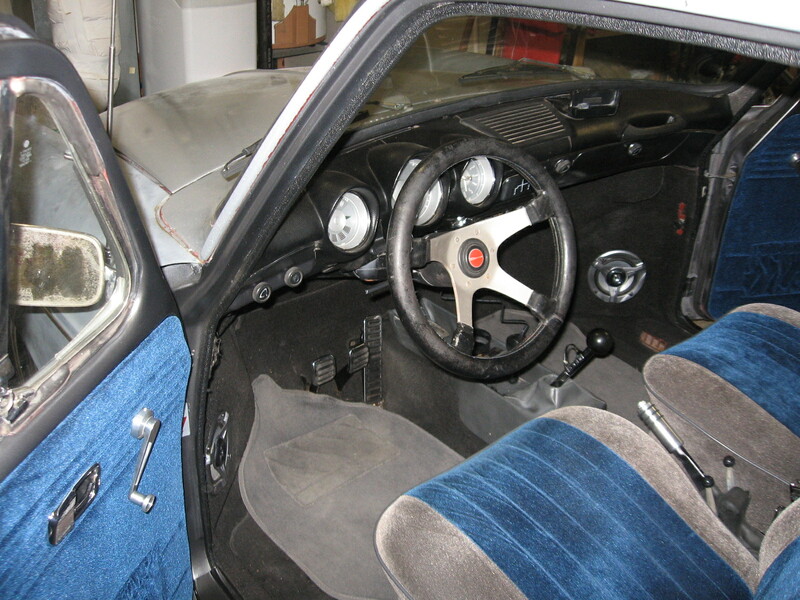 I put new cal look rubber and put in sound deadening and sprayed undercoating in all the panels and engines compartment. Sounds really nice now. New headliner. Now the old rotted one is not blocking my rear view mirror! Is that silver paint? 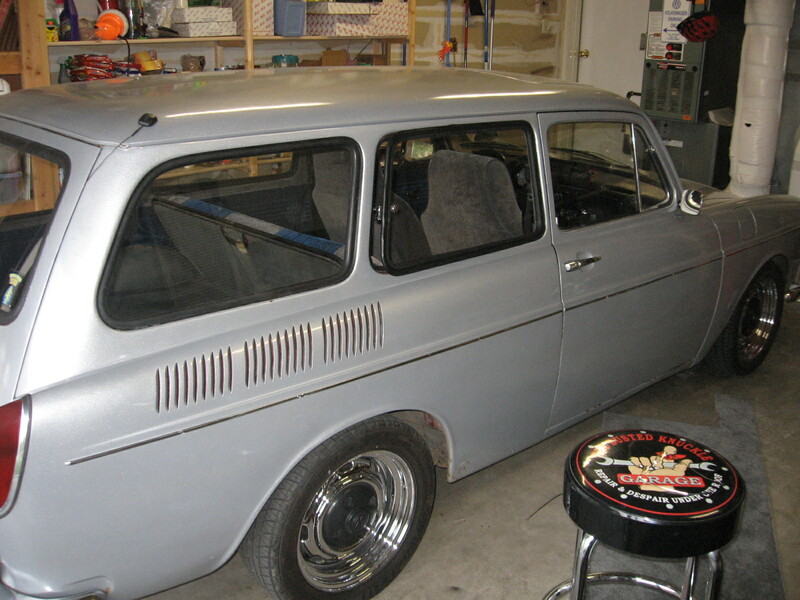 I have a '66 squareback here, wish it was a driver. Outside is silver metallic and the inside is gun metal gray metallic with gray and blue velor. I will be at the Richmond show this weekend and might drive down with you guys is you take the interstate. We did switch our route to the interstate, leaving at 3pm.